Born Austin Lyons Jr. in Brooklyn’s Kings County Hospital, Blu grew up the only child between Austin “Super Blue” Lyons, a well renowned Soca artist of the Caribbean, and Gail Copeland. After growing up on St. Marks avenue in Brooklyn his grandmother took him to Trinidad & Tobago to live with her. It was in Trinidad that he was introduced to the realization that music was in his blood. He was very influenced by how important music was to life there and started to feel the affect it had on him also; soon he was writing songs and finding himself in situations that would later become topics for his songs and shape the type of artist he is today. “I had very few discipline problems because I made extra effort not to get caught in certain situations.” Says the rapper. “Whenever I got caught doing something I was not supposed to be doing my grandmother would beat me like a slave, so I tried to be very discrete with whatever dirt I was doing.” After experiencing the good, bad, and ugly side of Trinidad Blu returned to New York to experience the same and finish his education. With his West Indian accent and personality it was a challenge fitting back into the New York state of mind but not impossible. In high school he began playing with the idea of starting his own recording company named KILLA SOUNDS ENTERTANIMENT. “I started making beats in high school with fruity loops and was planning to produce and rap. The plan was to have my friends Royal A.K.A Rollin’ 20 and Edwin A.K.A. Seize be my first artists on the label.” The success of the plan seemed to be a strong reality, but R20 was not as enthusiastic about the situation and had his own plans. He is now a full fledged member of QSC, a group which he has long been affiliated with. Seize now named “Lz” however stuck around. When he graduated from the High School for Arts & Business he began attending Queensborough Community College for a degree in music electronic technology. While there Blu met with Tarique who also was interested in becoming involved in the music industry on many different levels. “A dancehall artist was what I was really looking for, but I began to see that he had much more potential that being just that.” Blu speaks very highly of his now close friend. “He is Killa Sounds all the way but he has his own entity also. I support his movement one hundred percent. He is a major reason why I have Dancehall stars, who I grew up watching on television, recording on my beats.” In 2005 the two in conjunction with King and Queen Productions Released the ER Riddim featuring artist such as Mr. Easy, Mega Banton and Merciless. The project though has suffered due to lack of proper promotion and differences in business operations with King & Queen Productions. In 2006 Tarique formed Real Madd Entertainment with G-Loc and Nico Flair as his two flagship artists. While Blu began work with him, Lz, and Tantrum now named “Jimmy Haze”, to complete the first installment in a series of mixtapes called “KILLA SOUNDS F.M.”. He is also currently finalizing work on the release of the Blu Sea and Teflon Riddims due early 2007 on REAL MADD/KILLA SOUNDS. 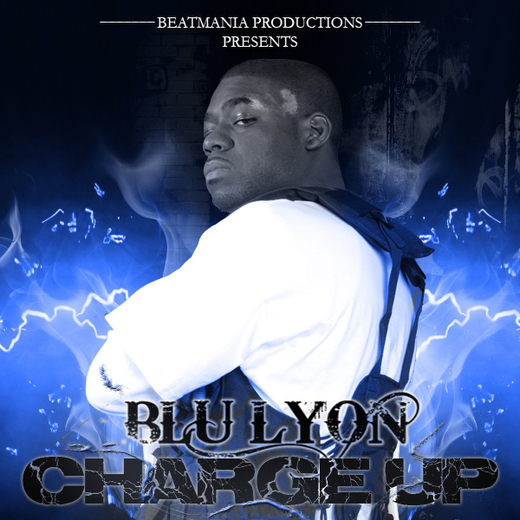 To hear Blu Lyon’s E.R. riddim visit www.KingandQueenonline.com.